Our promise to you is to always do our best and always greet you with a smile. We have a unique vision for our clients, our employees, and our community. 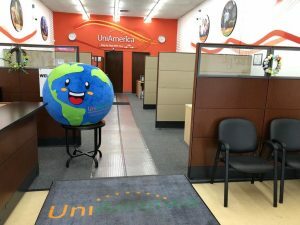 UniAmerica works hard to give our clients the best options for their unique insurance needs. With 25 years experience, we know how to find the best coverage and put the best policies together. We are also committed to the growth of our employees; encouraging and assisting them in reaching their professional goals. Lastly, we are dedicated to volunteering and supporting our local community. Our mission is to understand our client’s needs so that we can create the most appropriate and affordable insurance policies, giving our client’s peace of mind.